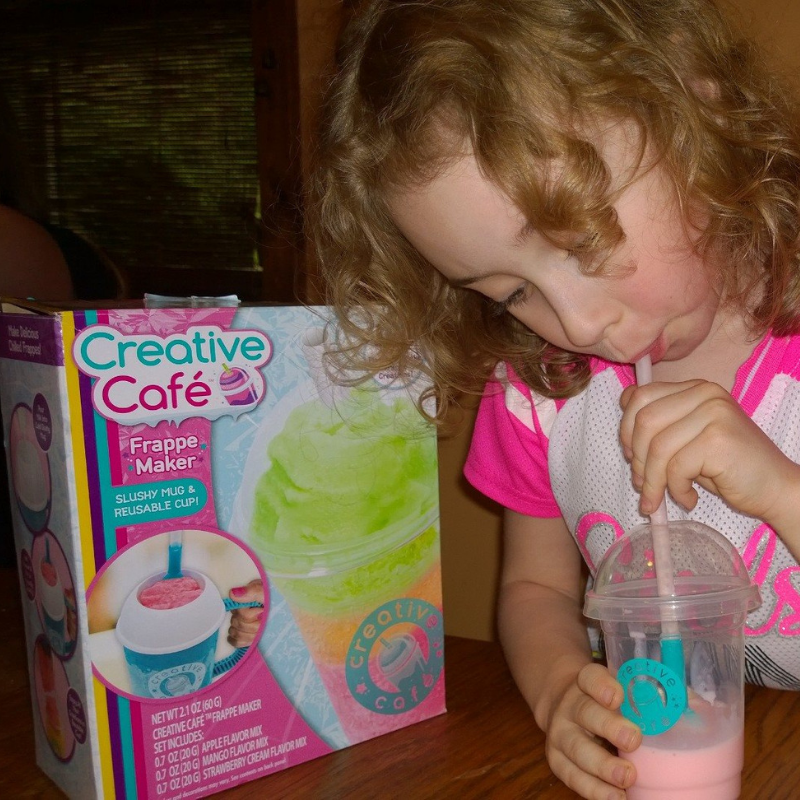 Creative Cafe Frappe Maker Makes Gourmet Drinks For Kids, Easy! Are you all about the gourmet drinks on the go? I see so many people in line getting specialty drinks everywhere I go. It's real life trendy to have a delicious drink but also social media tending to show off the drink to all of our friends. I love it that Roseart is making it possible for our little ones to join in the fun. We had the opportunity once again to work with Rose Art. These guys are so much fun to work with. They have so many interactive toys. I think it's awesome when a toy is functional;l and brings real-life situations to a miniature, more understanding size so kids can join in the fun. 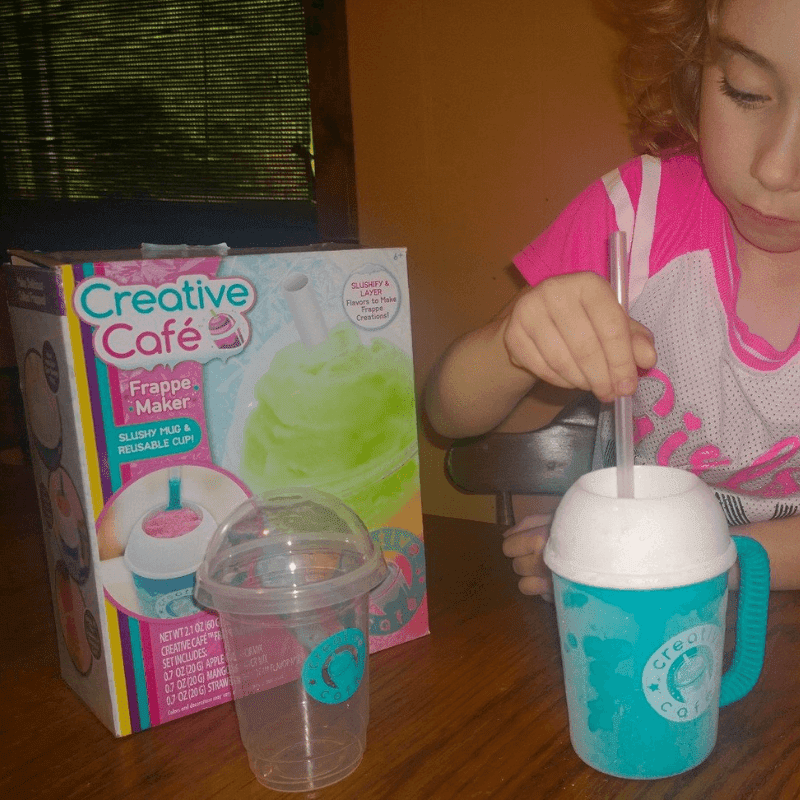 The new 2019 Creative Cafe line, Frappe Maker where kids can mix and create fun flavored frozen drinks. I loved the Barista Bar that we reviewed with them a few months ago. It has the milk frother and everything all in one awesome machine. The Frappe Maker is a specialty drink maker for frozen drinks. It's the perfect thing for kids 6 and up to make their own specialty drinks. At $14.99msrp it's a great gift idea for every occasion. The Frappe Maker comes with everything you need to make drinks for you and your friends, one drink at a time. I love the reusable parts. The flavors are all super tasty and brightly colored. It makes the visual appeal that much more exciting. 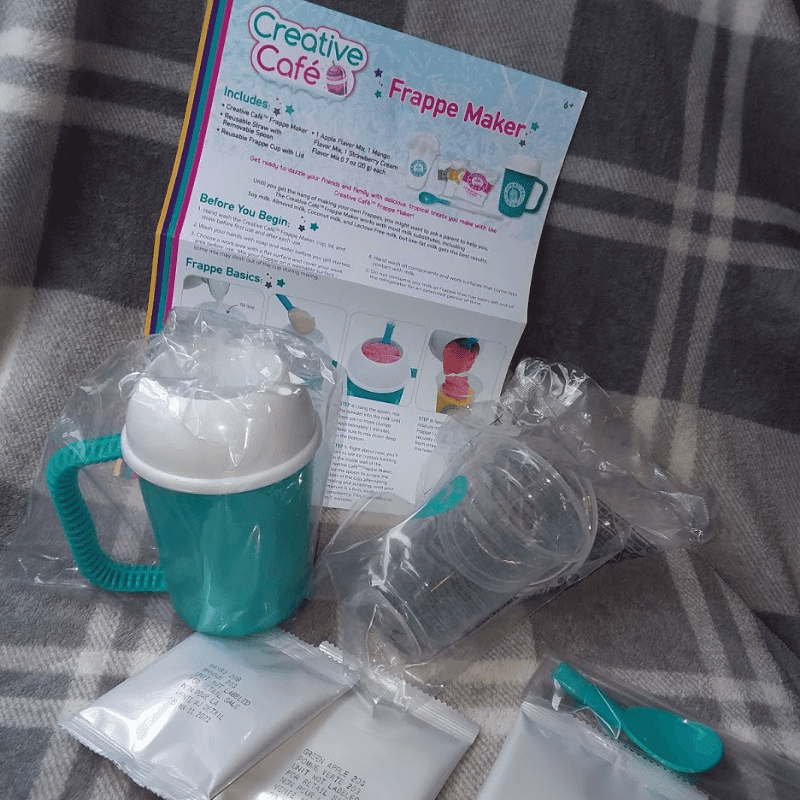 It's very simple to use the Creative Cafe Frappe Maker. It's awesome for all ages! It's recommended for ages 6+. I think this is an appropriate age range. I just gave this one to my niece for her 6th birthday and she LOVES it! She wants to use it every day! She knew exactly what to do with it because she has the Barista Bar too. Wash up all of your pieces and let them dry. Put the freezer cup in the freezer the night before (at least an hour or two before you want to make drinks). Stir for 5 minutes. It's so fun for the kids to see the freezing drink magic happen. 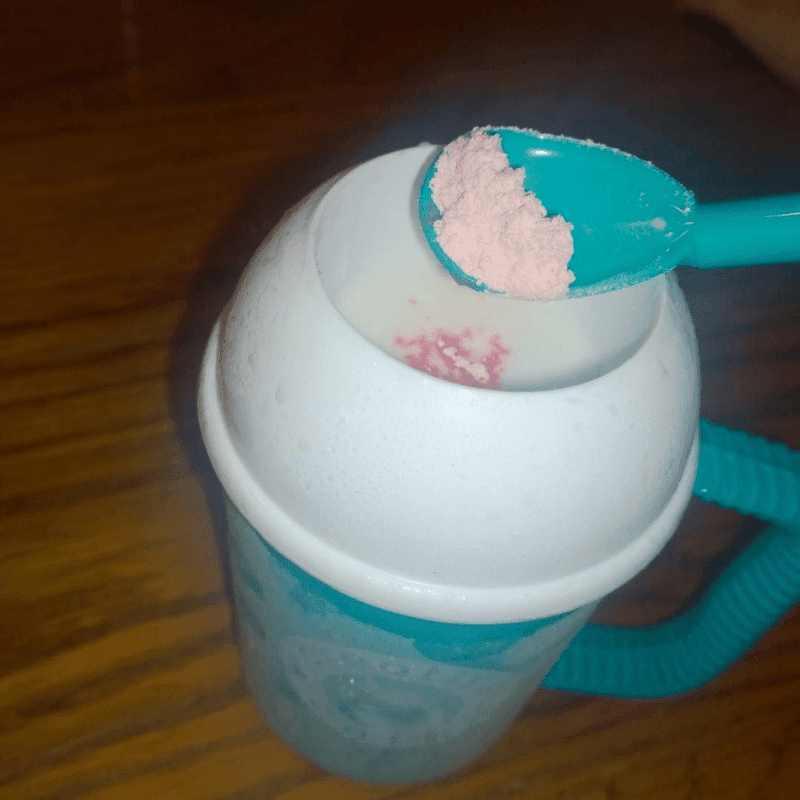 When the slushy is all slushy, pour it into the reusable drink cup. Ta-Dah- Drink your favorite fruity drink! If you are looking for a great gift idea for your little trendsetter, this is it! Check out Rose Art Creative Cafe Frappe Maker. I received this product for free to facilitate this review. If you have any questions about this product, please feel free to email me directly.